Wanted to start this year with a few thoughts about memorable drams. The reason is that I lost a friend quite recently and it makes one wonder and remember things. So the first dram to remember is Ardbeg Alligator. It was late (or early), a Magic Midsummer Night. The light outside was turning greyish to announce that the dawn was about to break. Then Mrs.Wolfmoons sensitve nose found a streak of peat in the wind which only could mean that Mr.Wolfmoon had poured one or two drams of that precious new Ardbeg. As you all know I am a responsible person when it comes to drinking ( 😉 ) and through all those years of partying my motto has been After midnight – Only water! – So I thought that pouring a precious dram att 3 o´clock in the morning after a night of heavy partying was a waste of good whisky! Did I get grumpy? Oh yes (as always…. I´m a grumpy old lass)! Did I nag? Again yes! But I can see the picture of my lovely friend wrapped in a fleece blanket on our patio, half asleep and sniffing that dram for an hour or soo with a few Mmmmmm…. accompanied by Mr.Wolfmoons -One could sit here and sniff this all night! And we did! Till 5 in the morning as we always used to do after those Magic Midsummer and New Years Parties. Today I´d scour all the whiskysites and auctions to get another bottle if I only could give it to you! 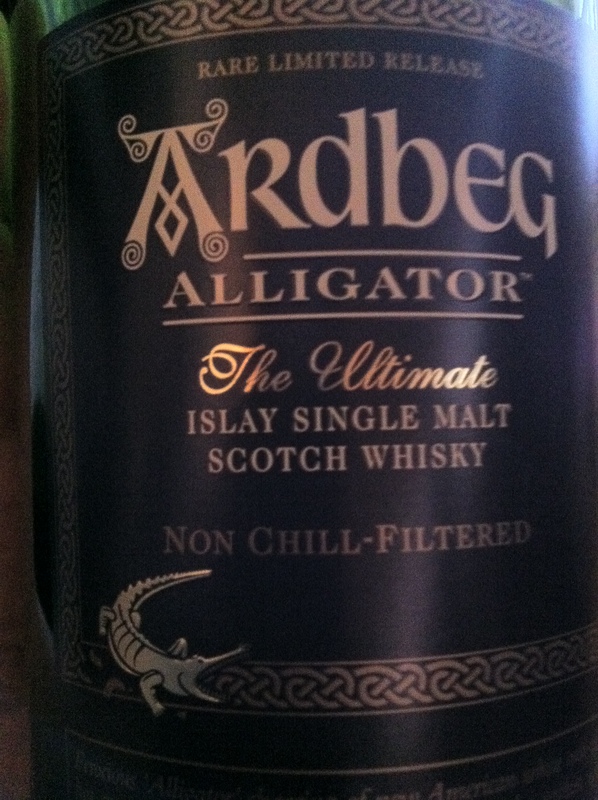 Ardbeg Alligator is for You, Annica! 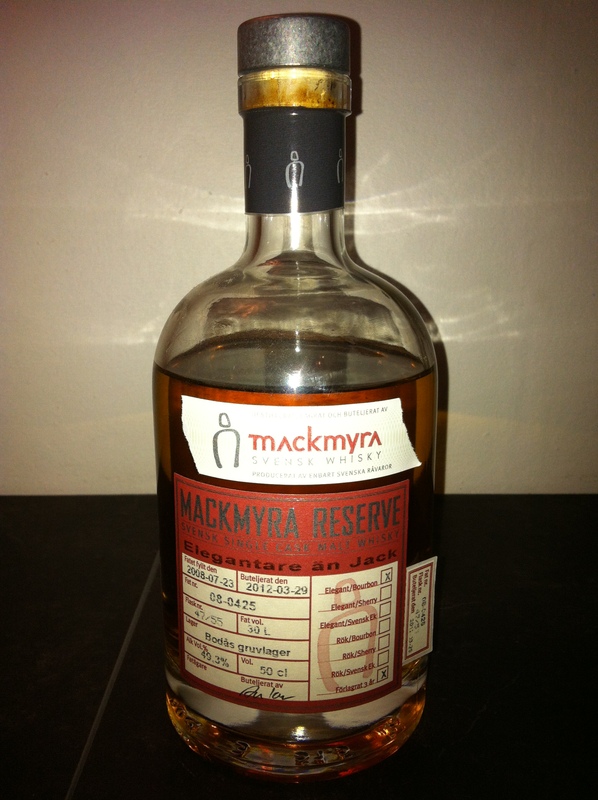 What got me in to this mess that is the Whisky World was a Mackmyra Reserve. My friend Roger was going to collect somthing like 57 or 58 bottles of a sherrycask matured Mackmyra Reserve at Juuls in Copenhagen. All the bottles ended up on my parents kitchentable and I was one of the first to taste it. It stunned me! It was like nothing I ever tasted before and it dragged me into the Whisky World forever. I´m going deeper and into darker parts of the Whisky Labyrinth and I like it. That first Mackmyra will always be there to remind me of the beginning, the origin and how it all started! And since I didn´t start my whisky journey with classic “Scotch”or aged maltwhisky my taste is wideopen and I can explore the tastes without any prejudice. Thank you Roger for being my first guide into the magic of malt whisky! 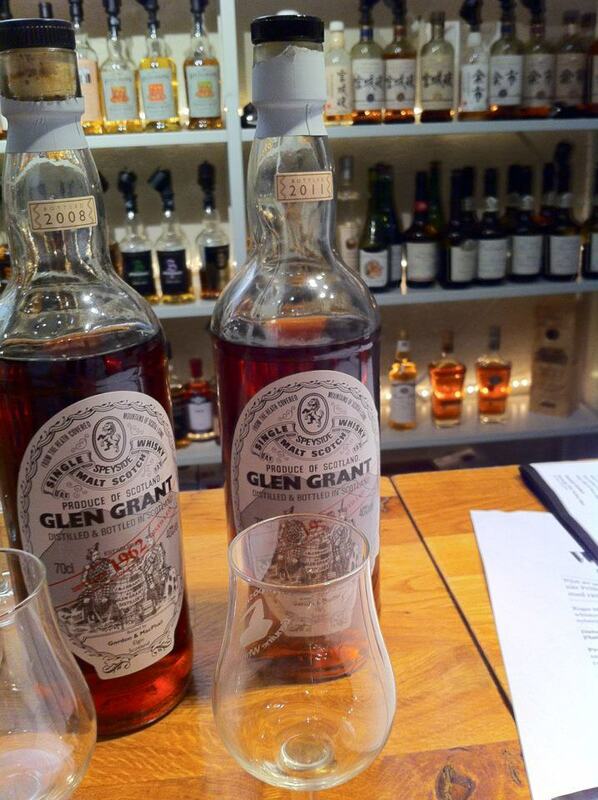 I had the opportunity to taste the Glen Grant from 1955 at Stockholm Beer and Whisky Festival 2012. I had not been drinking many older whiskies and probably none more than 25 years old. This bottle is matured for more than 50 years so it was a big jump from young to old. And I was stunned! Again! What was most fascinating was that the taste lingured on and on. Even after a hamburger with onions and I brushed my teeth it came back! It opened my eyes (and tastebuds) for older and more matured whisky. I still don´t think that older always is better (had some really awful old ones) but it is interesting to explore age and maturation and nothing beats a good old maltwhisky. 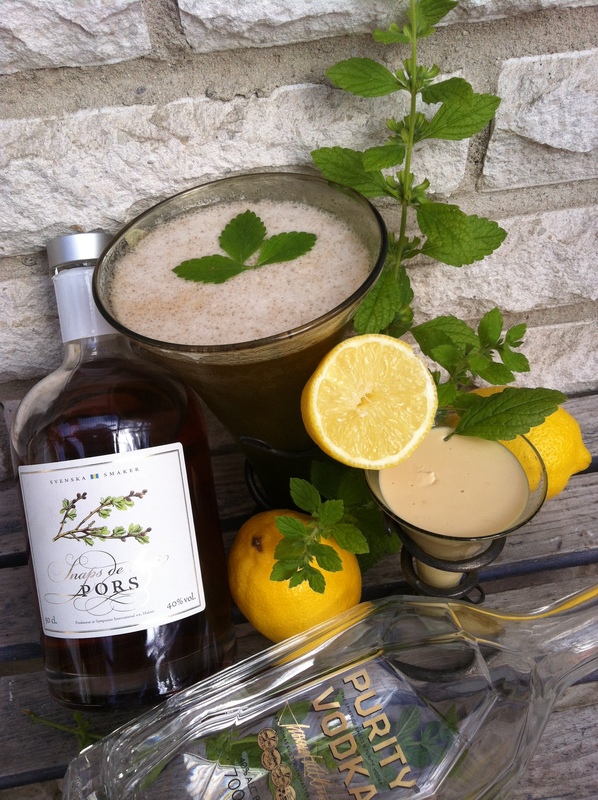 The Glen Grant from 1955 – is for the classic and age! 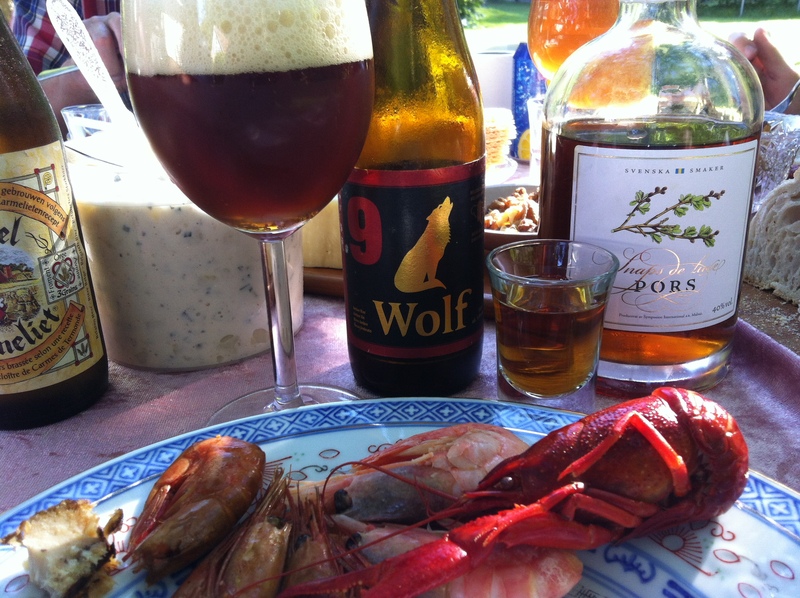 So Mrs.Wolfmoon has managed to write a Whisky blogpost without any tastnotes. Again! I was thinking about writing more tastenotes in the blog in 2014 but that is more a New Year´s Intention than a New Year´s Resolution. Anyhow, there will be more blogposts in 2014 – that IS a Resolution! I´m sure you can look that up somewhere on the internet to find the scientific explanation if that’s what you want. For me it was a total black hole, where I didn´t want to go until I had a very brief encounter with Christian! And it wasn´t any Christian I had the fortune to stumble across. 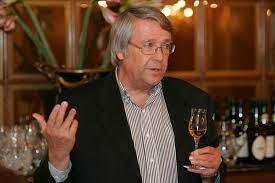 It was the King of Calvados – Christian Drouin,from the Coeur de Lion estate in Normandie. 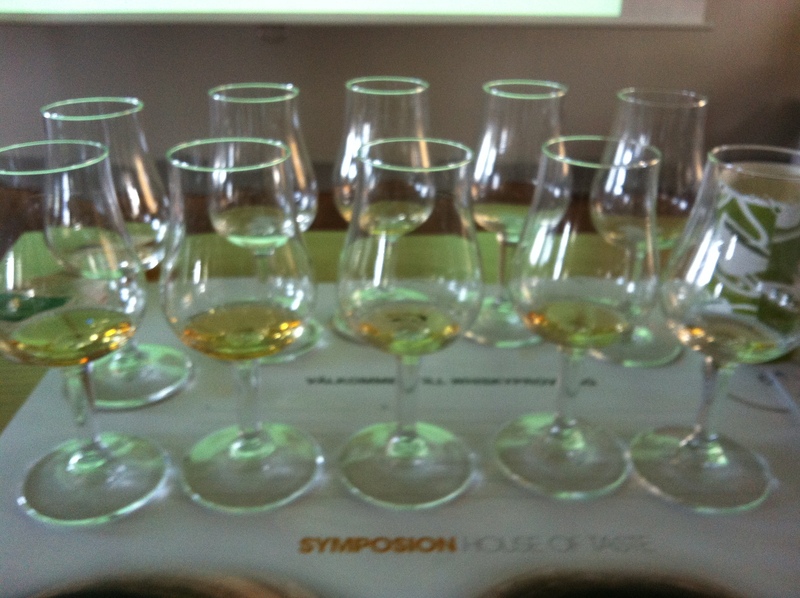 Actually I was at my first whisky fair – Stockholm Beer & Whisky – in September 2012. A bit shaky and quite nervous because I had never been behind the counter in a whisky fair before. I chose the worst fair to start with – well at least the most busy one. 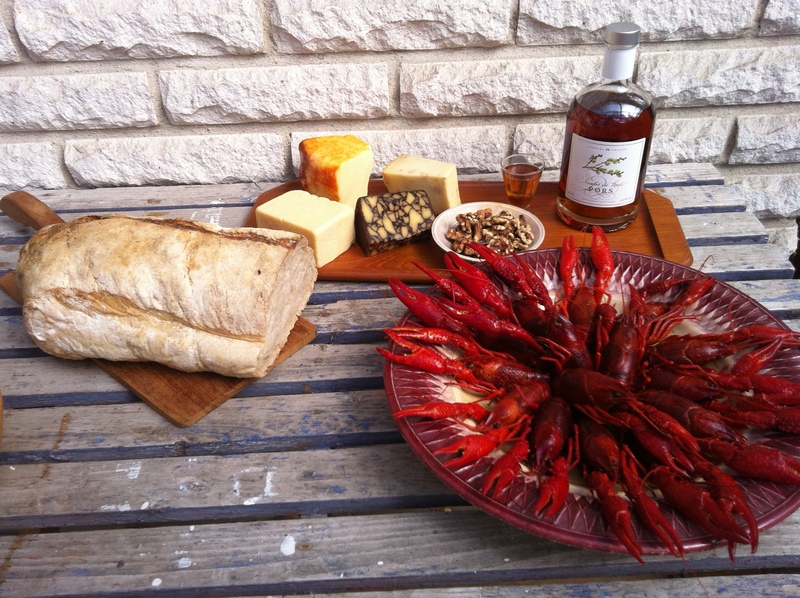 And not enough that we had more than 250 different whiskies to serve, we also had some Calvados……. And the King of Calvados himself to present it…by my side….and I had only tasted Calvados one or two times before (and I didn´t like it). When we got presented I told him the truth (or half of it , I didn´t mention that I didn´t like Calvados) that I had no knowledge about Calvados what so ever! He kindly took me in and gave me a tasting and a speedlesson of his Calvadosrange. I was amazed. Well not so much about the Blanche the Normandie – which I found to be “a white dog” – but a bit more tasty! Blanche de Normandie is an appelbrandy. Then Christian Drouin took a bottle, served me a sip and I was lost. The Wow-factor went to through the roof. I had no idea what I had in my glass but it knocked my hat off! It was sooooo gooood! What I just had tasted was some kind of celebration bottling. No longer available and very expensive. But if you want to teach someone about what Calvados should taste like – don´t give them the cheap factory stuff – give them a Coeur de Lion Vintage! 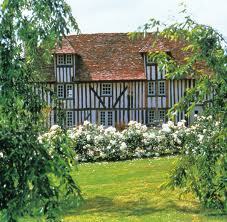 Since then I´ve had the opportunity to taste some more Calvados – some which I like – others not my favourites. 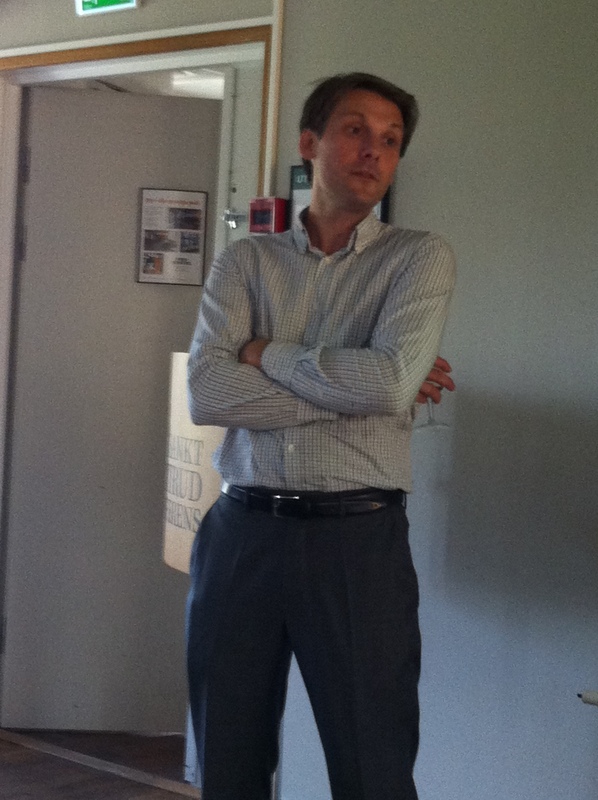 One of my Calvados-teachers is Richard Fransson from Steninge Ädla. He gave me a lovely tasting of some different Calvados bottlings he had come across visiting Normandie and Coeur de Lion estate/distillery so I wasn´t a total ignorant when The Prince of Calvados – Guillaume Drouin, visited my tastingleader course with 10 different bottlings from Coeur de Lion. (YES 10). Guillaume was talking about the taste ”Rancio” wich is a taste you find in well matured Congnac and its also a discription of a flavour you find in fortified wine.I´m a fan of Sherrycaskmatured spirit BUT the worst Whiskies I have had has been sherrycask matured. And they all had this “Rancio” taste. Probably a leftover from the fortified wine – the sherry . If it get overhand it will give the distillate a bad taste of mushrooms and rancid butter (as mentioned in my blogpost “the advent calendars). So when we had to vote for our favourites I liked 1989 and 1962 the most. I think 1970 and 1986 was had too much of the Rancio. I also liked the Pommeau de Normadie a lot. 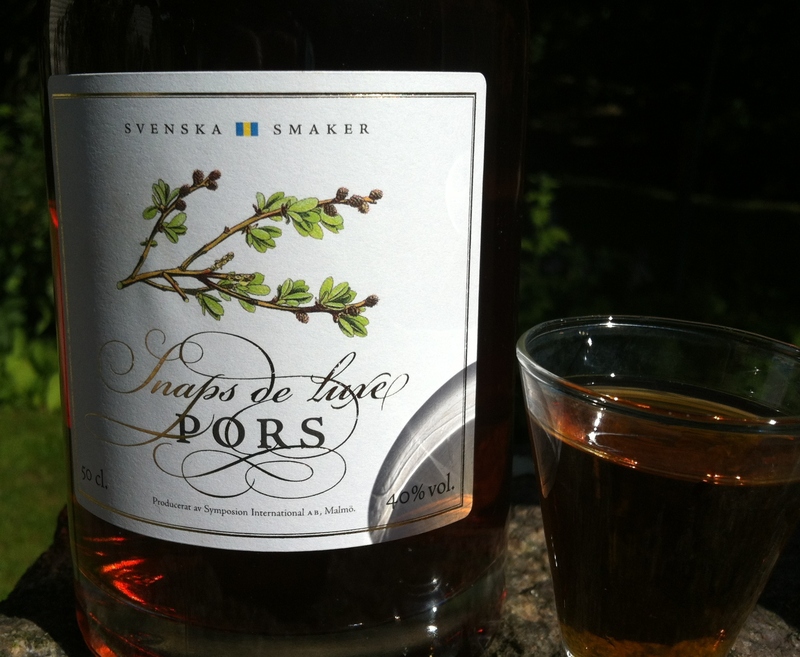 It is a 17% aperitif made of applejuice mixed with calvados before fermentation and then aged in oakcasks. I highly recommend it. Especially if you have friends who doesnt appriciate the high ABV of distilled spirit. Because you will love the Coeur De Lion. So what is Calvados? Shortly it is “distilled cider” out of apples or pears matured in oakcasks, the same way whisky is “disitilled beer” matured in oak casks. – Google it if you want to know more! Here is a text in swedish. All you out there who doesn´t read swedish – google translate will provide the fun translations if you are interested in reading about a very special swedish “snaps”! Pors är en traditionell snapskrydda som använts för att smaksätta drycker sedan vikingatiden. Tillsammans med ett flertal andra traditionella snapssmaker har den fallit i glömska, kanske för att Hansan, som hade ekonomiska intressen i humle, spred falska rykten om att pors var giftigt. Det Malmöbaserade familjeföretaget Symposion lanserar nu en serie lyxsnapsar under namnet Svenska Smaker. Med dem kommer man att värna om det svenska landskapets smaker som snapskrydda. Först ut är alltså Pors- Snaps de luxe. Vi har provat Pors- Snaps de luxe ihop med kräftor, kallskuret och ost, i och till efterrätter, som drink, snaps och likör. Med sin fylliga sötma och ton av lakrits och beska kan den först upplevas som lite för fyllig för att vara en snaps. Vi är van vid något tunt och starkt med lite vassa och spritiga toner som river i bröstet och snabbt ska sväljas ner. Här har vi en komplex snaps som kan njutas på många olika sätt – inte minst som snaps, men även som likör till desserten eller i en fräsch drink. Pors – Snaps de luxe är full av smaker men känns mjuk och balanserad trots sina 40%. Lakritsen och beskan i Pors –snaps de luxe kompletterar sältan och dillen i kräftorna. Den går också bra ihop med det rökta kallskurna som vi serverar dem som inte gillar havets frukter. Men vill du att kräftskivan verkligen ska lyfta ska du servera Pors – Snaps de luxe till Äppelrökt Cheddar från Norseland Limited. Med på ostbrickan får du gärna ha en Seriously Strong Cheddar och en härligt krämig Brie. Du kan också använda pors som bas i en drink – Vi valde att göra en citrusfrisk Fizz smaksatt med pors och vanilj. Skaka allt väl i shaker med mycket is. Vi gjorde en lyxig efterrätt som komplement till kräftskivans lite lättare buffét. Koka upp grädde och socker. Låt svalna något, blanda i citronsaft/skal och Pors –snaps de luxe. Vispa i de urkramade gelatinbladen. Slå upp i 4-5 portionsskålar och låt stå kallt i 2 timmar. Servera med en Pure Pors Fizz eller ett glas Pors –snaps de luxe som likör. 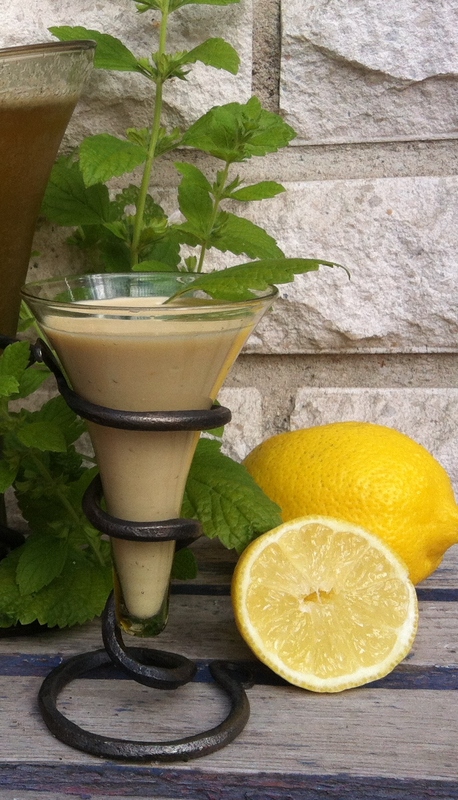 Gärna rumstempererad och njut av kombinationen sötma/lakrits i drycken och den friska citronen i Pannacottan. En annan efterrätt – en snabbvariant av glasstårta – visade sig vara perfekt till ett glas Pors –snaps de luxe. Det var lite oväntat eftersom smaksättningen i glasstårtan är kaffe! Smula kakorna och lägg i bottnen på en form med löstagbar kant. Mixas glass, kaffe och socker. Fyll smeten i formen och låt frysa i Låt tina 10 min innan servering. 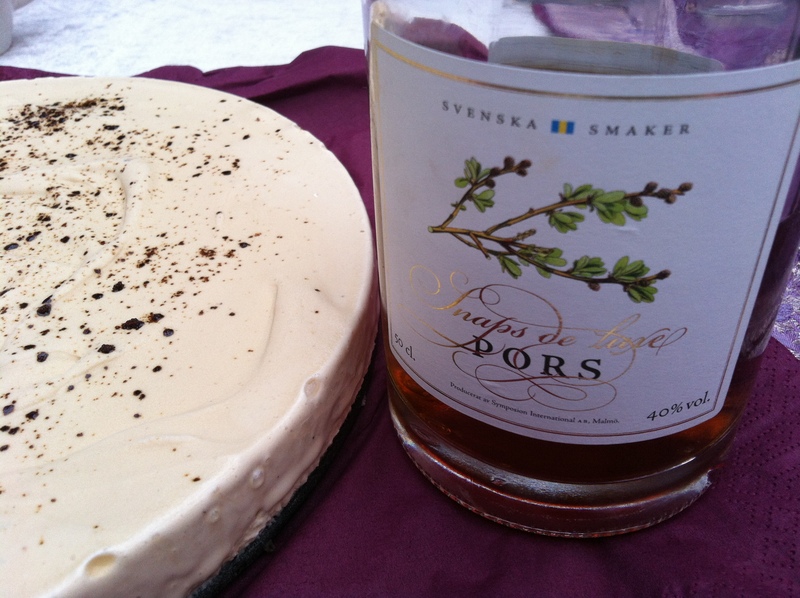 Servera med ett glas Pors –snaps de luxe. Pors –snaps de luxe är en riktigt trevlig bekantskap med många användningsområden. Det ska bli spännande att följa Symposion och deras fokus på det svenska landskapets smaker. Läs mer om Symposion på www.symposionhot.com .